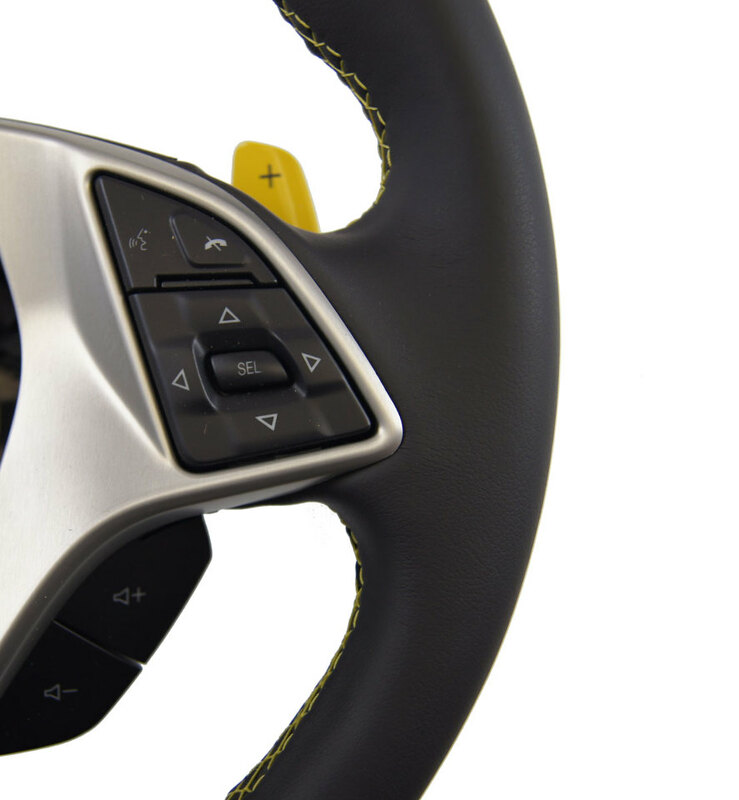 This is the steering wheel for 2014-2018 Chevrolet Corvette C7 vehicles. 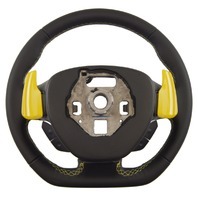 This is the complete steering wheel for these vehicles. 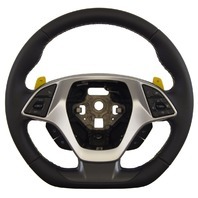 This includes the wheel, plastic backing, switch assemblies, paddle shifters, and wiring harness. 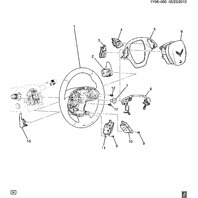 This does NOT include the airbag or the front airbag cover. 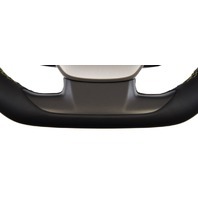 You will need to reuse those from your current wheel. 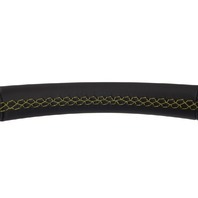 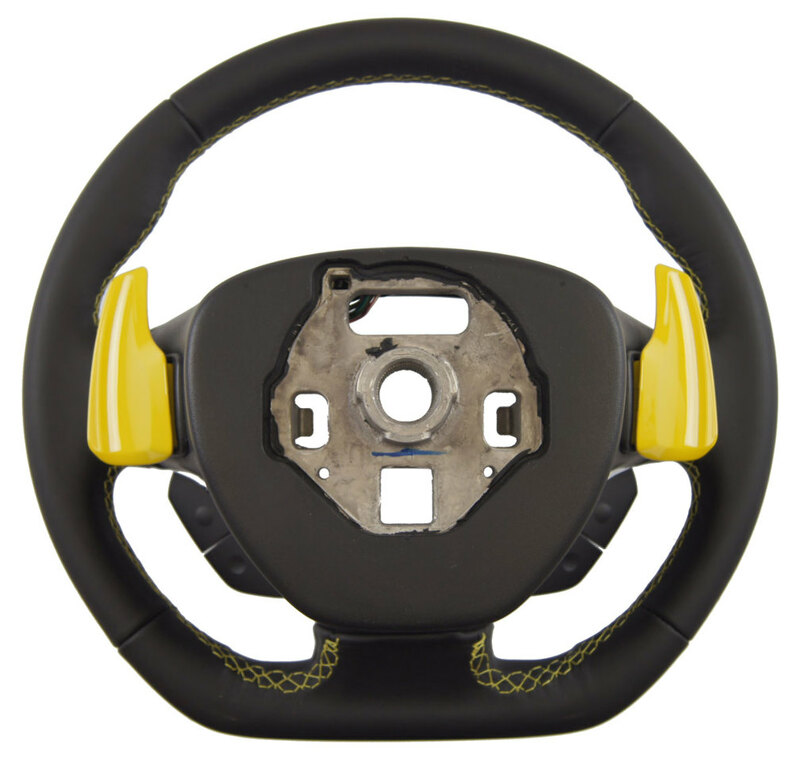 This wheel has a flat bottom and is wrapped with a black leather with velocity yellow stitching. This wheel also has a silver accented section around the switch assemblies with a graphite accented bottom section. 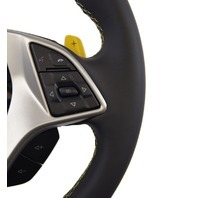 This wheel includes the yellow paddle shifters (+/-) for automatic transmission vehicles. 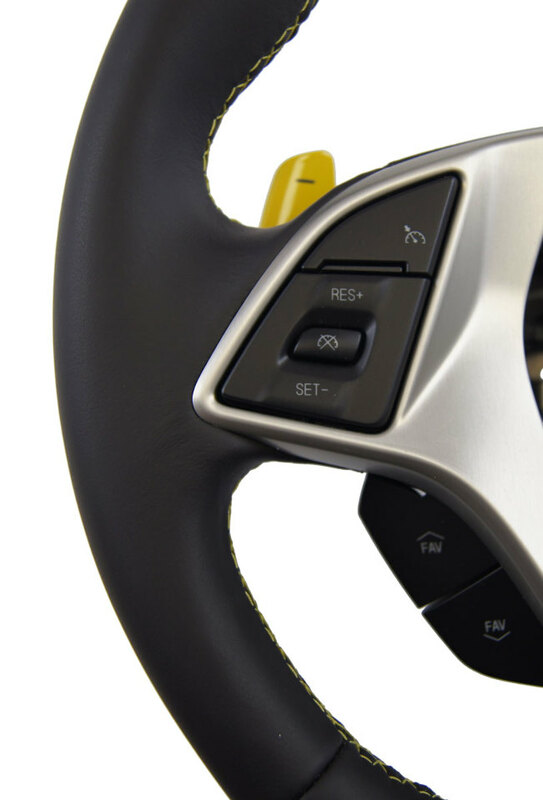 The left hand button functions include the cruise control functions including Cruise Control On, Reset +, Set -, Cancel, radio Favorite station presets up and down, and Paddle Shift (-). 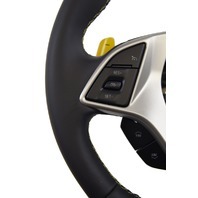 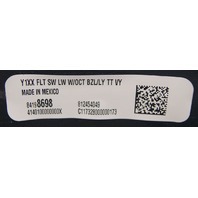 The right hand button functions include Telephone Answer/Voice Control, Telephone Hangup, Select, Up Down Left Right Keypad, Volume Up, Volume Down, and Paddle Shift (+). 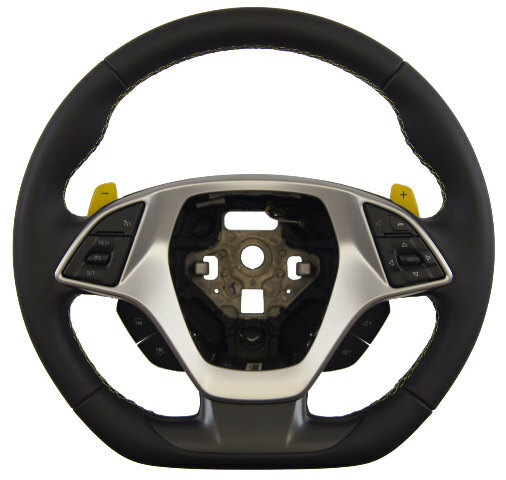 Replace your steering wheel, or upgrade your steering wheel with this brand new factory original part from GM at a fraction of the dealer price. 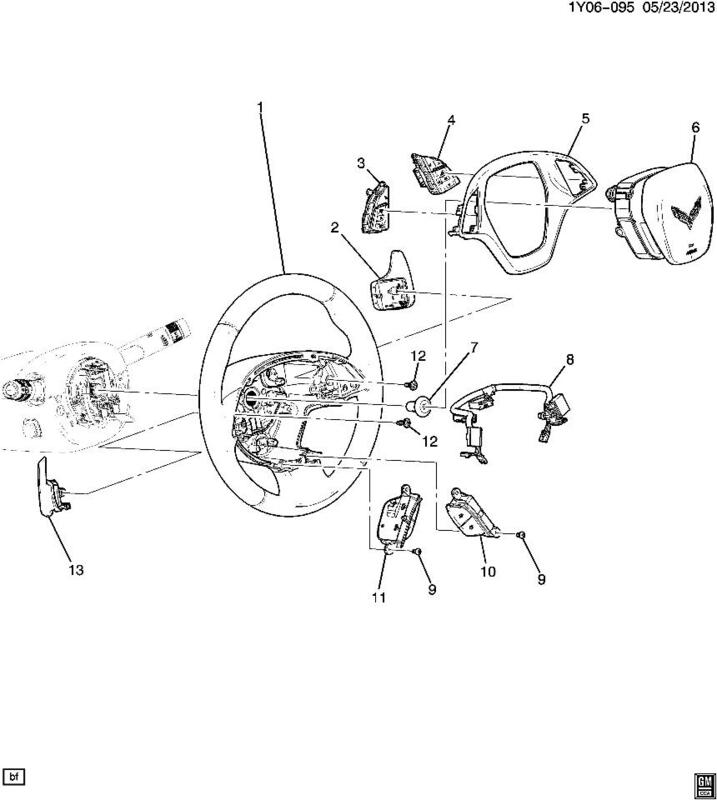 Includes everything EXCEPT numbers 6 & 7 in the GM diagram.